While wandering around New York we saw some iconic building from history and media. 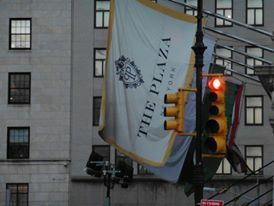 The two I got rather excited about were: The Rockefeller and The Plaza. 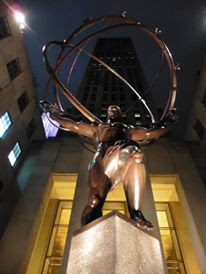 Unfortunately the Rockefeller was closed when we walked past but I did get a lovely photo of it at night all lit up. They even still had some Christmas trees out front as it was February at the time. 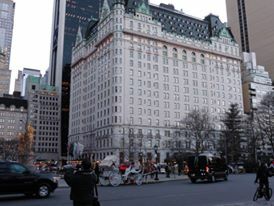 The Plaza we walked past a few times as it was right on the edge of Central Park. I would have loved to have nipped inside to have a nose around but our holiday was so jam-packed as we only had 5 days to fit everything in. 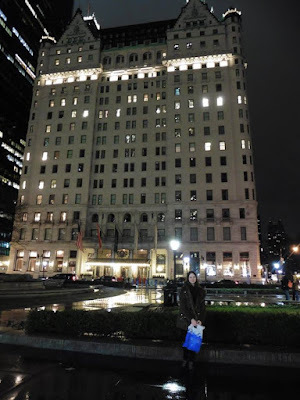 I did get some lovely building shots though and of course I couldn't resist having a picture in front of the building! 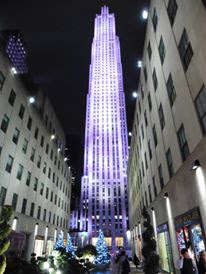 It looks stunning in person and if I ever return to New York I would love to stay there if only for a few nights!